parameters and optimize his design. the load of the crystal can be viewed in a diagram. links for data sheets of selected products. 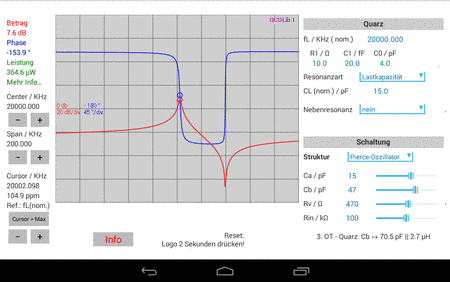 A version of the Y-Quartz app for working on PCs is available on request from the GEYER Design and Test Center.